New on Blu-ray & DVD January 15, 2019 "Halloween"
If you're a fan of the original “Halloween” released in 1978, this new addition to the franchise will not disappoint you. The film, under the direction of David Gordon Green, pays attention and even embraces the film's roots. The film, while paying homage to its original, finds its own modern voice and stands on its own merits. 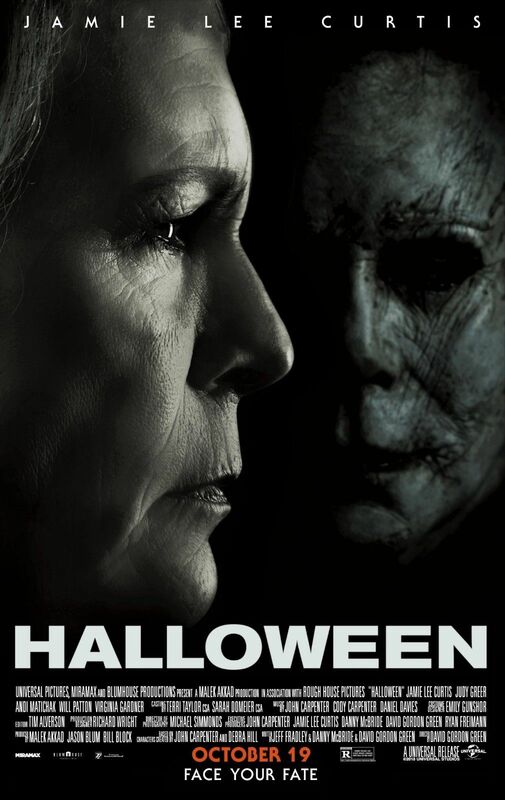 Jamie Lee Curtis, who starred in the original and 3 other sequels, gives us a completely revamped character carrying the burdens and fears of the 40 year nightmare she's been living. No longer a 'scream queen,' Laurie is now wiser, better trained and more prepared to face Michael Myers. This makes her a very formidable opponent. All in all, “Halloween” is bloody, brutal and scary thriller perfect for a thrilling night at home. Plus the DVD & Blu-ray have some great Behind-the-Scenes featurettes.